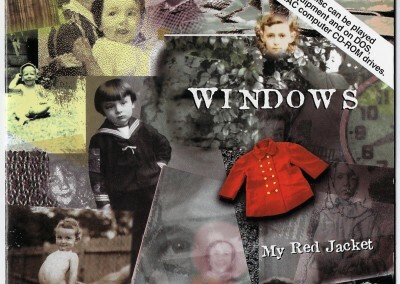 In the middle of 1993, I started recording what we would become the seventh Windows record, “My Red Jacket.” My wife Sharon had found hidden away at her mother’s house an old little red coat that she owned when she was a child. 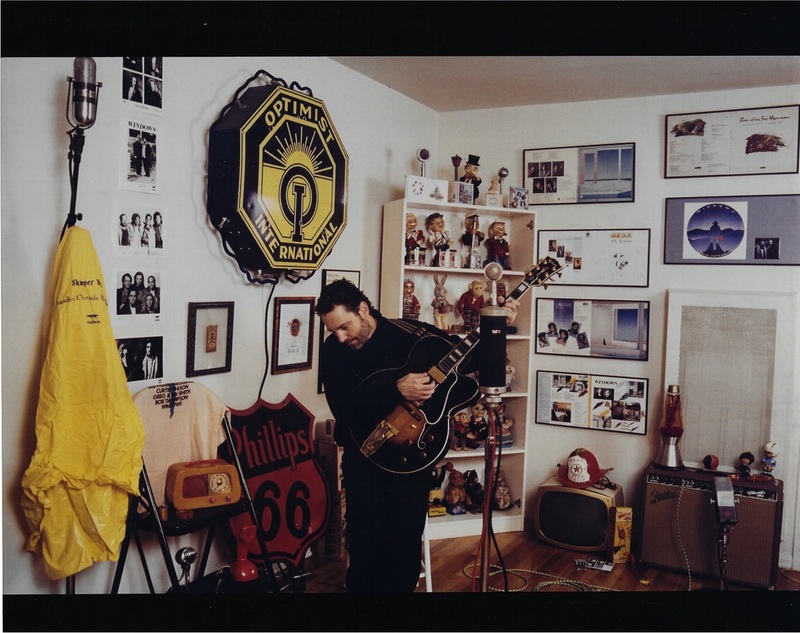 We had an old black and white photo of Sharon in it hanging in our house which along with other photos of her family, became the basis of the album artwork. 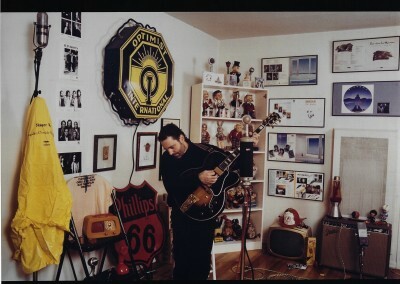 Tim Timmermans shot pictures of me in my office above the recording studio with all my music career paraphernalia in the background. I remember once the album was released, receiving phones calls from friends and associates that I had not seen in a while. They were startled at my physical transformation. Gone were my long locks, replaced by a beard and a short haircut. This marked the first time that Ken Niles designed an album cover for me. 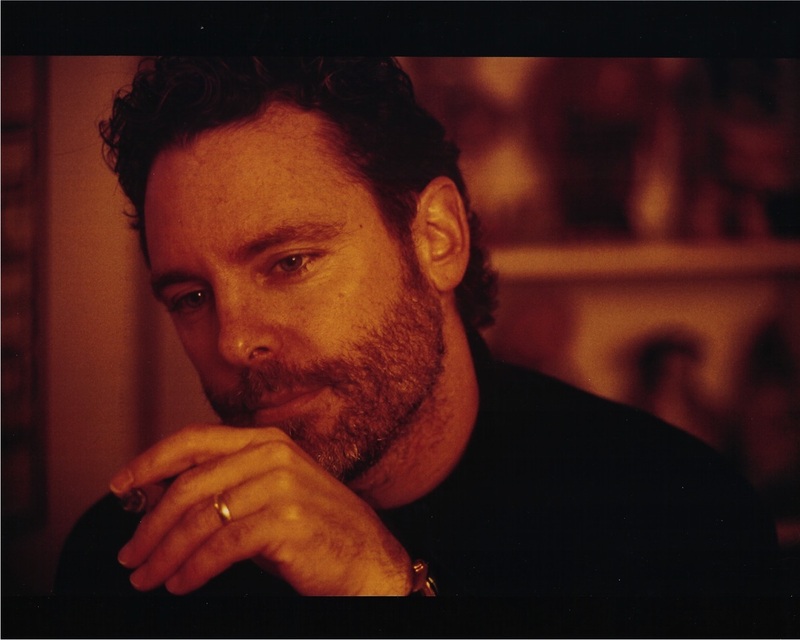 The results were wonderful, and he has been involved with all of the albums I have released since. Ken is a great friend, and created and ran all the art-work for Blue microphones. We refer to him as the Art Czar! 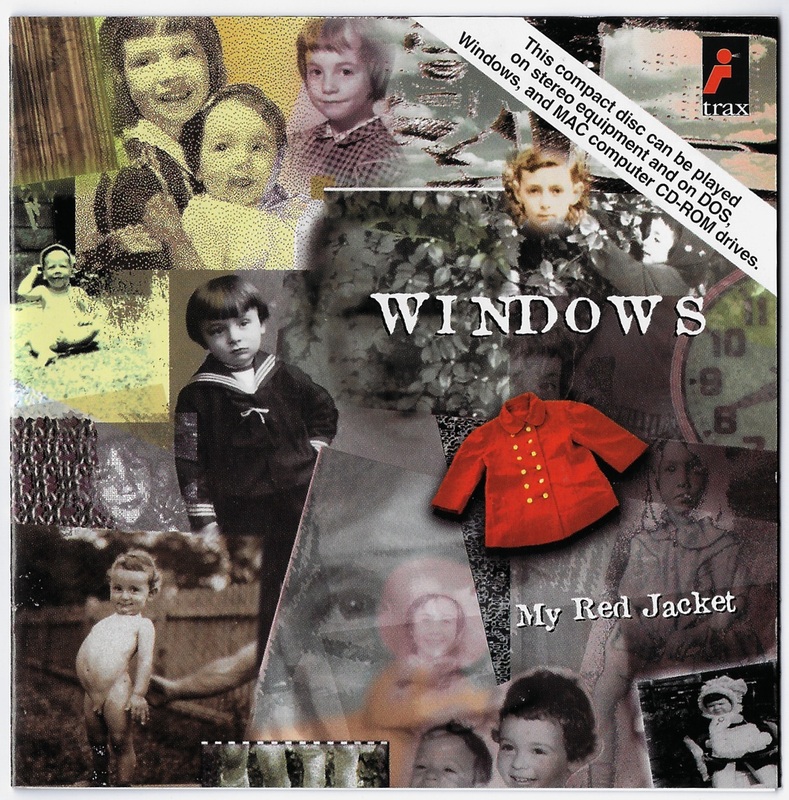 “My Red Jacket” was released late that year. 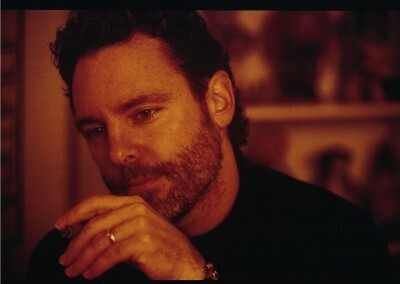 A single from the album, “So Many Times” (backed with “Big Basin Highway”), generated some airplay on the smooth jazz and adult contemporary radio stations. 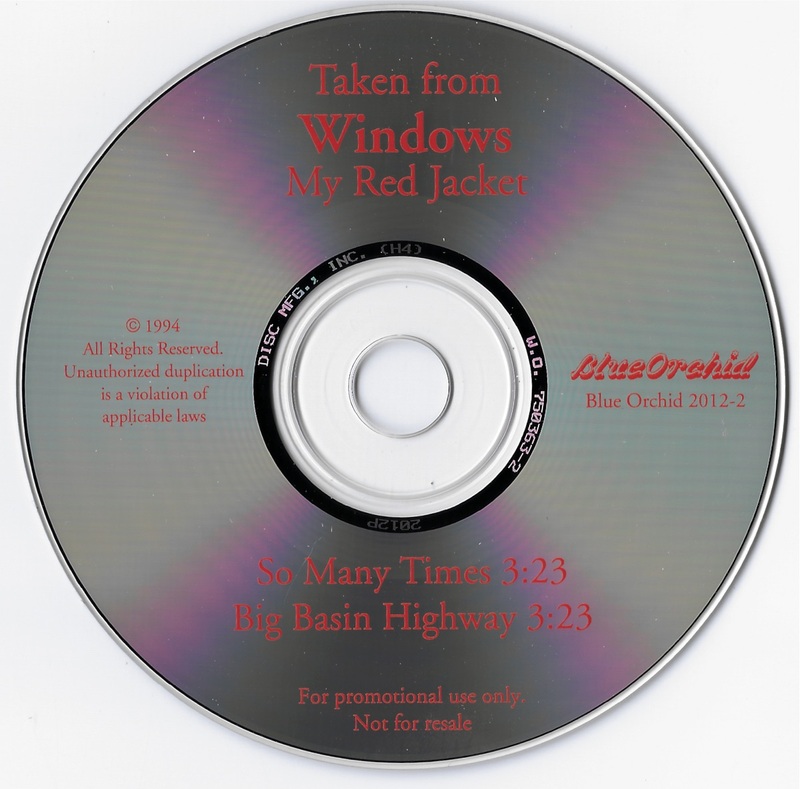 During the sessions for “My Red Jacket,” I was introduced to Les Pierce by my friend George Ghiz. At the time George had been successfully managing groups such as Mr. Mister and The Rembrandts. Les was one of George’s artists. He had a Top 40 hit at the time with the pop group Louie Louie, and was producing the vocal group, Take Six. Les and I started writing together to see what would come of it. 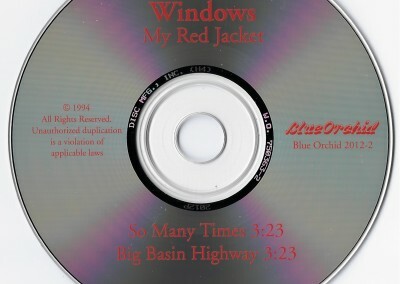 I asked him to sit in on some of the Windows sessions as a keyboard player, and the results yielded the lone vocal song, “One World One Love,” on “My Red Jacket.” From these sessions, we also cut “Open Up Your Eyes,” which never made the record, but was later released as the B side of the single, “Play Your Guitar For Me.” Once the Windows sessions were finished, I continued writing and recording with Les, creating songs that were to become our first album together. During this period, I became distant with people I had been working with in the past. I was burned out on the failure of the ”Harry” album, and was looking for a change in my environment. This eventually led to a phone call from Steve Chapman, my manager, about parting ways. To this day, I cannot fault Steve’s reason for this decision, as I was not taking his advice regarding the direction he felt my career should have been going. He was supportive, but when things did not pan out in the way I had hoped, there was little for us to do together. This was tough for me, as I was one of Steve’s first acts, both with my solo career and Windows. Together we were able to help Peter White launch his solo career, and we had experienced many successes together over a six-year period. If it were not for Steve’s persistence, and his challenging of my directions, I am sure there would have been many more difficult turns in the vein of what happened with “Harry.” To this day, we remain close friends.